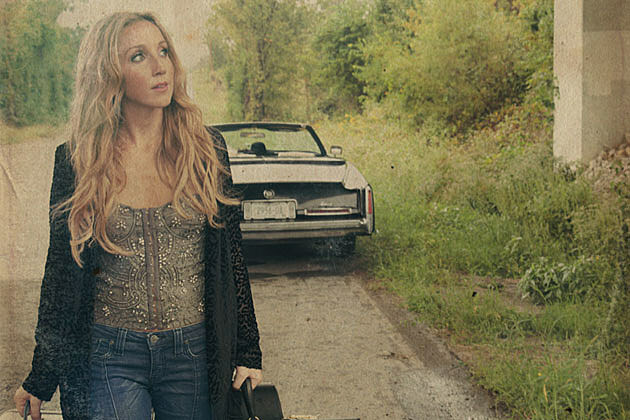 Ashley Monroe is an American country singer-songwriter originally from Knoxville, Tennessee. Ashley released her debut album Satisfied digitally in 2009 and recently released her second album Like A Rose on 4th March this year. She has been part of a large variety of musical collaborations throughout her career, most noticeably The Pistol Annies alongside her friends Miranda Lambert and Angaleena Presley. Perhaps my favourite of her collaborations is the track she sang alongside Train, Bruises. It is a lovely, upbeat song and Ashley's vocals blend very well with those of Train's lead singer Pat Monahan. In terms of her solo album I was originally a little apprehensive as I don't tend to like the more traditional country music but the album features modern songs whilst still staying true to country music traditions. I particularly liked Used., the soft drum beat (it sounds like brushes are used) and guitar hook combine with Ashley's vocals to give the track a mellow, relaxed feel, allowing listeners to focus on the lyrics rather than any over-production. I would also definitely recommend listening to Ashley's duet with Blake Shelton, You Ain't Dolly (And You Ain't Porter). At 4:03 it is one of the longest tracks on the album but is lyrically very tongue-in-cheek with lyrics such as "you'll probably see me country singing on The Voice someday" and once again the instrumentalisation is at a perfect level for their voices. My least favourite track is Monroe Suede. Although it seems the track has it's share of fans I find it to be too busy and almost like Ashley is trying to fit too many lyrics in. Ashley is being lauded as one of CMT's "Next Women Of Country" alongside such artists as Jana Kramer, Kacey Musgraves and Rose Falcon. Her whole album has been very well received, charting at number two on the US iTunes Country Chart and number thirteen on the US iTunes All-genre Chart on the day of release. Ashley hasn't headlined a tour yet but I would definitely be interested to see her over in the UK, even as part of someone else's tour. Even if you are apprehensive of a more traditional country sound I would recommend listening to Ashley's album, I for one was pleasantly surprised.